Some Dapster arselickers are cheering for Mahathir to get a two-thirds majority in parliament, believing their Beloved Tun will be able thereby to push the Harapan agenda. After absorbing a half dozen ex-Umno MPs yesterday, Harapan is now nearer the two thirds objective. "There are now 22 Bersatu MPs, making them the fourth largest party in the Dewan Rakyat after Umno. Prior to the election before last (GE13), Lim Kit Siang was complaining that Mahathir – at that time still with Umno – had wanted “a two-thirds parliamentary majority for Barisan Nasional so as to be able to revoke the citizenship of Bersih co-chairperson S. Ambiga”. 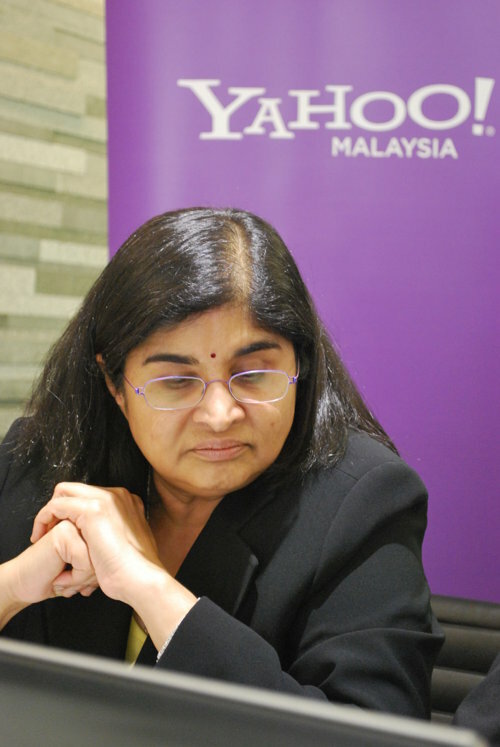 According to the old pre-GE13 Kit Siang, his then nemesis Mahathir had coveted two thirds in parliament so that BN could amend the constitution allowing the government to do things like strip Ambiga of her Malaysian citizenship. Oh how the worm has turned in the space of less than half a dozen years from 2013 to 2019. Kit Siang’s lolling tongue too must be as exhausted as that of his DAP running dogs from their tireless jilat-jilat-jilat all over Tun and his Malay First party. Entry filed under: #NotMyPM. Tags: DAP the Castrated Chihuahua.